After watching Riske finally see off Cornet in two tight sets (Set Points part one for Sunday HERE), I headed over to Court 3 to see Timea Bacsinszky and Svetlana Kuznetsova in doubles action together against Andreja Klepac and Maria Jose Martinez Sanchez. Since Lucie’s not here, i’m all in on watching Timea and I had a feeling this was going to be fun – it was one of the rare occasions where I predicted something right 😂. On the very first point, a serve from the MJMS-Klepac team (can’t remember who) went flying outside of the court and took off someone’s hat! Timea shouted out to the poor woman to see if she was OK which thankfully she was. 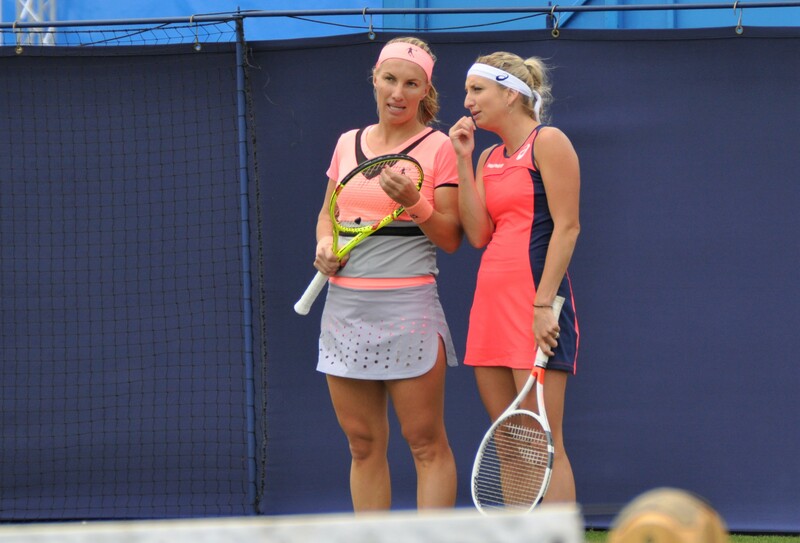 After the first game, I thought Bacsinszky and Kuznetsova were very sharp and working well together – I remember they had a lovely embrace after their singles match in Cincy last year and they played doubles in Wuhan last year. Timea seemed to be having a ball with Sveta! There were some amusing moments in this match, most notably when a pair of seagulls came on the court. Timea and Sveta started chasing after them! Timea was then looking up at every seagull and shooing them away – from her reaction, one seemed to produce a deposit near her! Timea also managed to hit Sveta in the back of the head when serving. It was a mighty strike and Timea looked mortified as she ran forward to check Sveta was OK. The Swiss player then shook her head when she got back to the baseline – Sveta is a tough cookie! They also argued quite a few calls with Timea dropping her racquet at one point in disbelief. After one call, Sveta shouted out a sarcastic “thank you” that made me laugh. Doubles wise, there were some great points on show with Klepac and MJMS rallying from a break down to win in the second set with some quality play. The Swiss-Russian pair raised their game in the Champion’s tiebreak by tempting MJMS into a pair of errors at the net and playing strong themselves. It was lovely to see the pair embrace at the end and look so thrilled with the win. There was a nice handshake too. I was chuffed Timea shared some of my photos and she sent me a message on Twitter – highlight of the day and week so far! Thank you!! Took one of your Picts, forgot to tag you 🤦🏼‍♀️ ( blond ) But, thanks very much for the great Picts ! The wind was typically brutal in Eastbourne so I took an hour out in the media centre to warm up and process some photos. I then headed back out for fun and games on Centre Court where Mirjana Lucic-Baroni and Monica Niculescu were into a third set. Note that Niculescu hadn’t won a match since Indian Wells and had led 6-4 4-1 in the second set before Lucic-Baroni mounted a comeback. Lucic-Baroni blew hot and cold in the decider – she started well, then fell back a bit, and then seemed to be racing for the finish line as she looked to finally have control of her groundstrokes. Leading 5-3* 40-30*, Lucic-Baroni even chalked up a match point. The Croatian player missed it and then rather fell away with a few shocking misses and a couple that barely missed the line. Niculescu kept things steady and broke to love at the end with Lucic-Baroni, who was sporting streams of strapping all over her shoulder, clutching her leg at the end and clearly hindered in her movement. Niculescu took one almighty detour but won, 6-4 5-7 7-5. The Romanian player was beaming at the end and she was really sweet in her post-match interview. The guy interviewing her remarked on her forehand slice being a tricky weapon and she responded “thank you” which made me chuckle. It was the way she said thank you! Finally, I watched the first set of Ana Konjuh against the qualifier, Mona Barthel. For the first time, I sat in the front row seats in Centre Court, which was a novelty! Barthel advanced via retirement, leading 6-4 1-0, with Konjuh bothered by what seemed like a back injury, which she took a medical time-out for. The atmosphere was pretty mute but it was nice to watch with some Tennis Twitter friends. I was really struck by how awesome Konjuh’s groundstrokes are up close. Barthel was playing some good stuff and gets Kuznetsova in the second round. All the best to Ana and hopefully this was just precautionary. And that concluded what was another great day in Eastbourne. It was windy and cold, but I love this place so much and am already building a lot of great memories from this 2017 edition of the tournament. 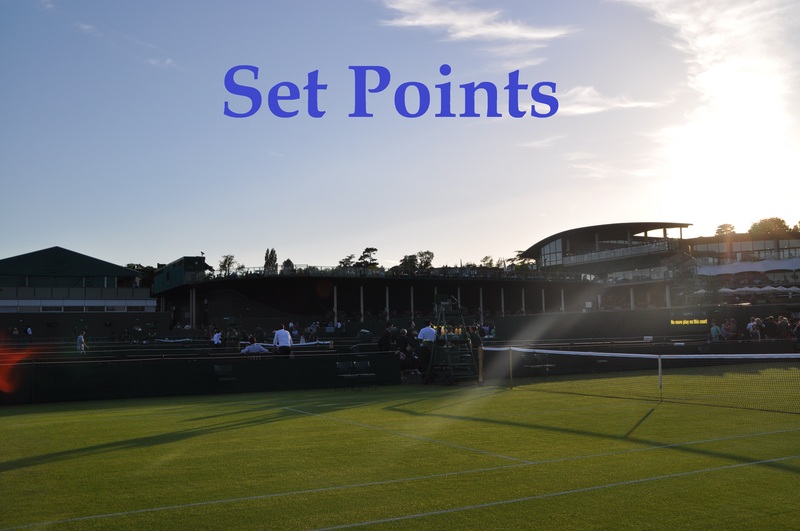 June 25, 2017 in Eastbourne, Set Points, Tournament Report, WTA. Tuesday’s Set Points, French Open 2017 Day 10: Bacsinszky vs. Ostapenko for a place in the final! Eastbourne -possible- matches I’m looking forward to—CSN vs Ostapenko—-Halep vs Kvitova—-Bellis vs Radwanska(not likely). Lucic-Baron vs Niculescu—-At the coin flip, the tennis girls were dressed half naked while chair ump Kedar looked like he was dressed for an Arctic expedition!!!! Did The Moo get on worldwide tv and livestreaming video with his front row seat at the Kojuh match? Is The Moo now an A-List Red Carpet personality?? So many great potential match-ups. And ha I hope not! The Timea-Sveta doubles with those pesky seagulls was the highlight! Saw a fun video on YouTube — Jelena Ostapenko by Rackets Alert (with Poots in a supporting role) the video apparently even shows The Ost as a young ball girl. Did both Bellis and Goerges pull out of Eastbourne?? Looked around found nothing. Yes both pulled out, I found out from the live scores app and puzzled when I saw Kucova vs. Davis. 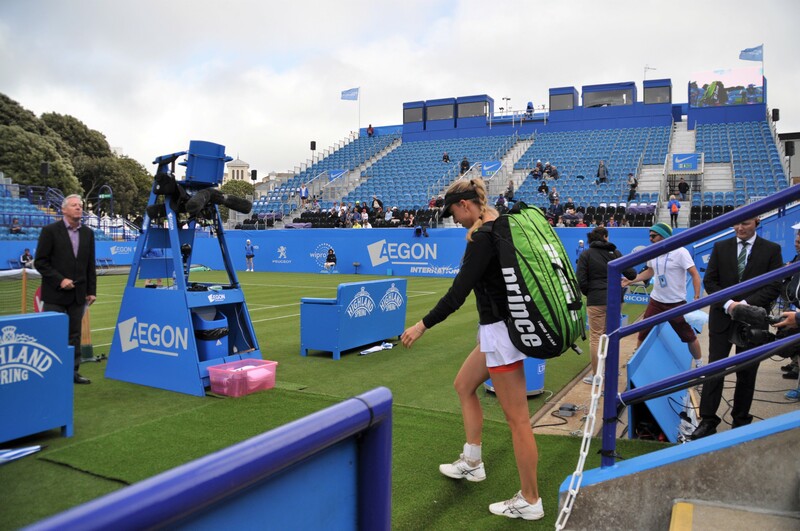 Earlier in their day, there was an announcement for Goerges to go to the WTA Office. Great win from Heather Watson against Domi today. I can’t remember when Heather last beat a top 10 player – was Aga in the top 10 when Heather beat her at Indian Wells in 2015? The old WTA site would tell you but the information isn’t as easily accessible on the new one. Super win for Heather, I thought she had a shot. Knew what was happening based on the crowd noises! Giles–I went to flashscore.com the almost real time tennis score site. Aga had a WTA ranking of 10 when Watson beat her at Indian Wells 6-4,6-4 in 2015. flashscore.com has apparently the results of every WTA match played back to at least 2013 (when I quite scanning ). Woody— If you are looking for a player on -flashscore- go to the yellow strip on the left side and hit the WTA rankings then look for the player. The player page shows the results for about the last three months, but there is a_ show more results_ button at the bottom, which probably takes you to the very beginning of the players career. The difference in rankings could be “live rankings” vs WTA official end of week rankings. Yep big fan of Tennis Abstract, for reference that is where most of the stats I mention come from. I love all the filters you can do, for example to find out top 10 or top 20 wins.